Restore and revitalize tear production. Relieve dry eyes with real tears. Say goodbye to blepharitis! I have gone to many eye doctors who diagnosed me with blepharitis and chronic dry eye syndrome. I was put on and off on steroid and antibiotic eye drops. The symptoms would always be the worst upon waking in the mornings- my eyes almost glued shut with mucus and very red, blood shot eyes. I’ve been told it could be blepharitis but they were never sure. The only other regimen that helped was warm compresses and fish oil capsules. 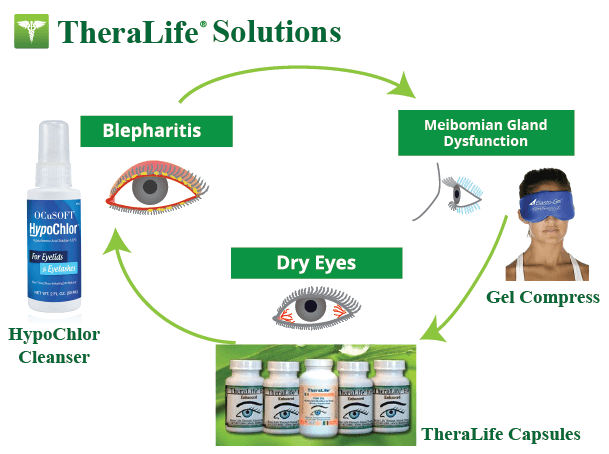 I can not begin to tell you how much Theralife has made a difference for my blepharitis dry eyes! I’m still currently using 3-4 capsules twice daily, along with fish oil, warm compresses and daily eye hygiene with lid scrubs. My eyes have been feeling great! Thank you so much for caring. Strips away your eyes natural lubricants making eyelids sore and dry. Also allows bacteria and mites to re-attach to eyelids after cleaning. Clinically-proven ingredients that restore your eyes natural tear secretion functions to stop the dry eye cycle. This is a better and healthier long-term solution to treating dry eyes, over time you should not have to use eye drops. Stays warm for 20 minutes. 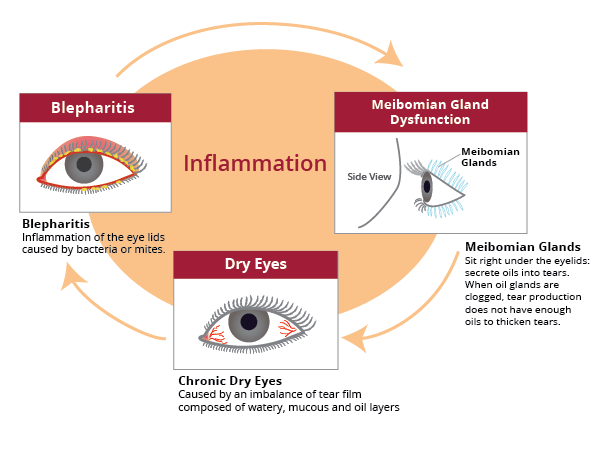 You need this prolonged heat to unclog the meibomian glands, allow lubricants, thicken tears for long lasting relief. 90 days money back guaranteed. TheraLife has the complete solution. 1. Hot Compress to open clogged meibomian oil glands. 2. 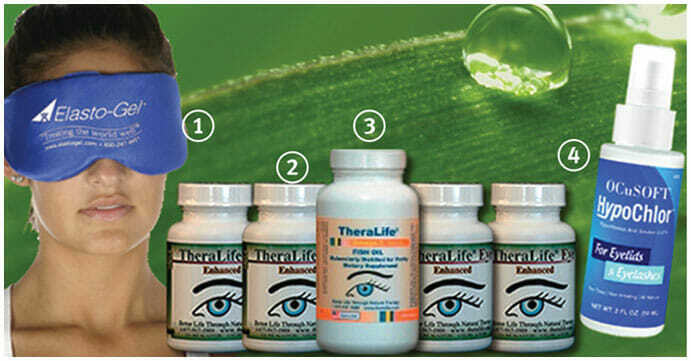 TheraLife Eye Capsules to revive intra-cellulary to restore balanced, sustainable tears all day long. 4. Eye Lid Cleanser to clean and stop reattachment of bacteria and mites which causes inflammation. Call Dr. Yang and see if TheraLife is right for you!